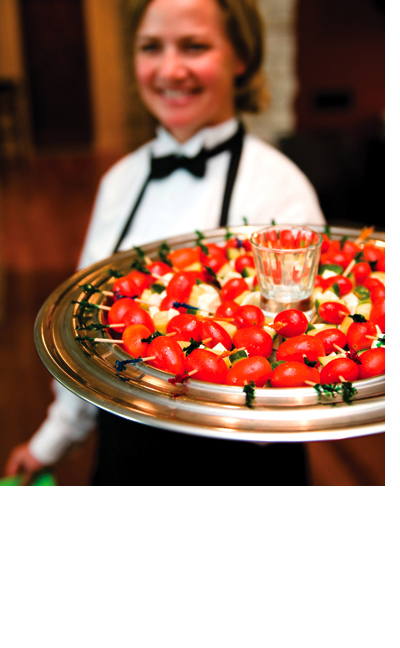 We specialize in handling all of your event needs from catering a fantastic meal, to wedding planning services, floral arrangements, event décor, bar services & valet. Let us cater your open house, wedding reception, corporate function, dinner party, holiday party or social gathering in the office or after work. No order is too small or too large. Whether your group size is 2 or 2,000, we promise a very memorable experience. We pride ourselves on freshly prepared foods, and superior customer service. This web site provides just a taste of what we can do, as we very much enjoy designing menus around your ideas, your budget and your personal recipes. Please feel free to call one of our event specialists if there is something special that you would like to have at your event….anything is possible! Please take time to learn about who we are and what current clients have to say about us by clicking through our website and calling one of our event specialists. We look forward to working with you to make your event absolutely unforgettable.